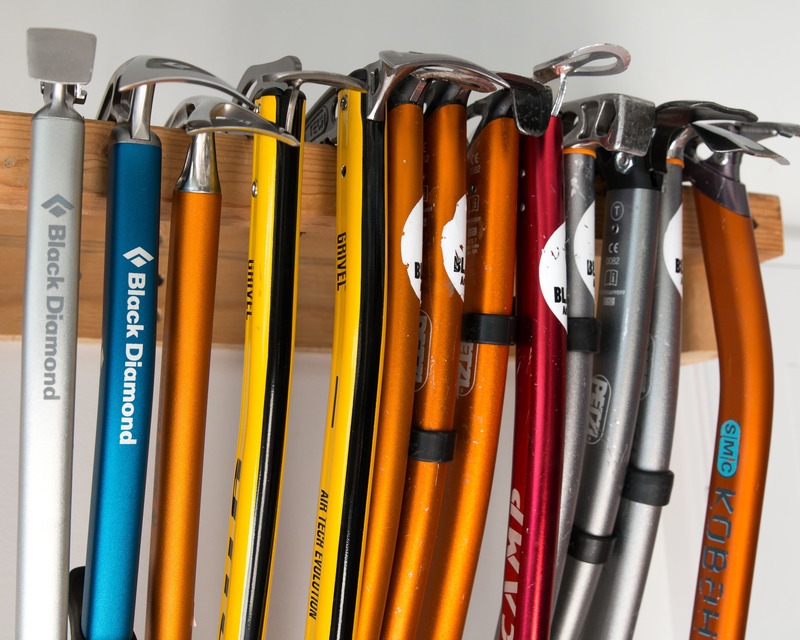 Beal has really been setting the standard for superlight and safe climbing ropes lately and the new(ish) Gully is no exception. 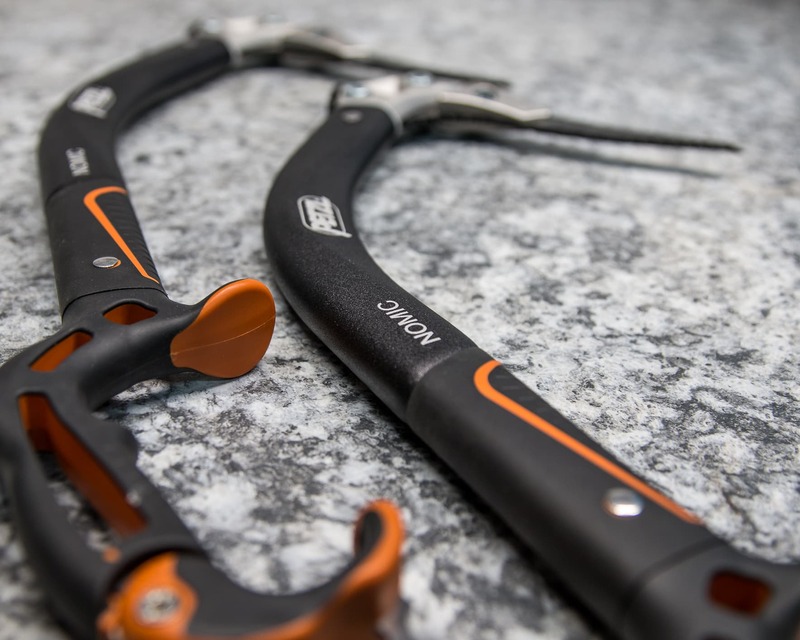 Amazingly light and dry the Gully half/twin ropes excel at alpine and ice climbing. 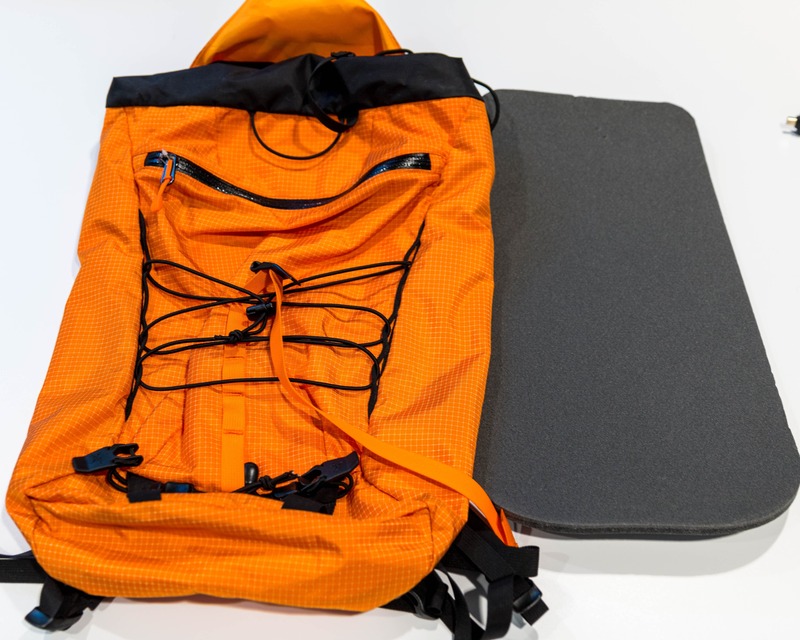 The biggest selling feature for me is the Unicore technology that bonds the sheath to the core and in doing so drastically increases safety (not to mention durability). 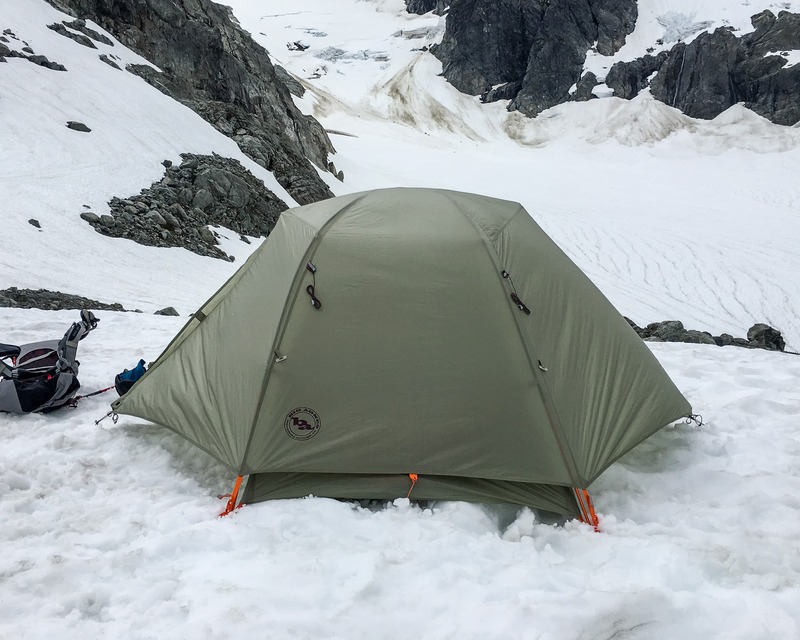 After a close call on a rappel in the Bugaboos with some sub-7mm twin ropes I’ve become a little more cautious when testing thin lines… and other minimalist gear for that matter! 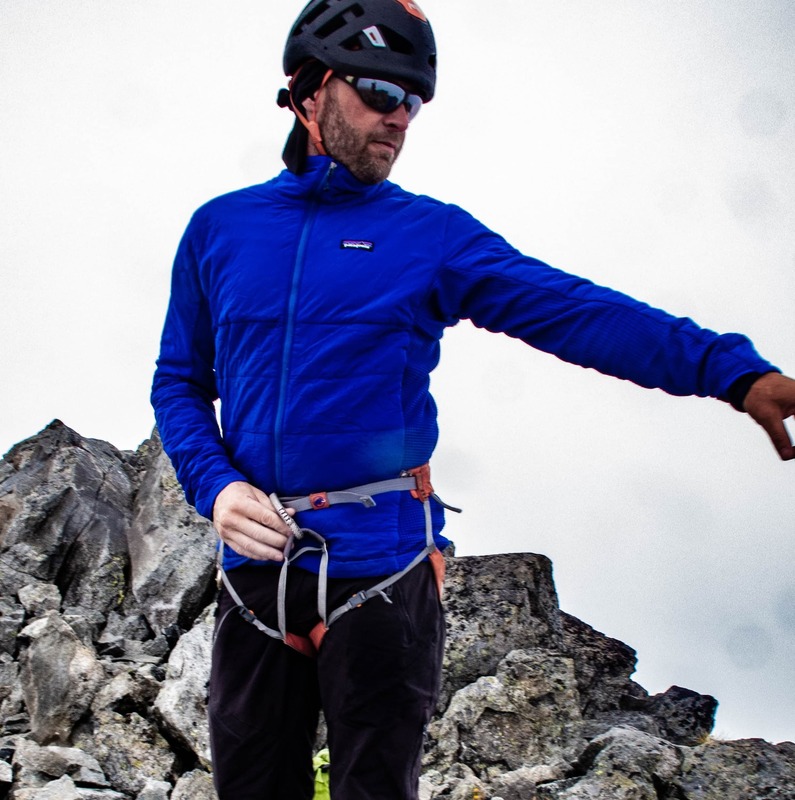 The added safety afforded by the Unicore provides a lot of peace-of-mind when climbing with sharp tools or around sharp rocks. 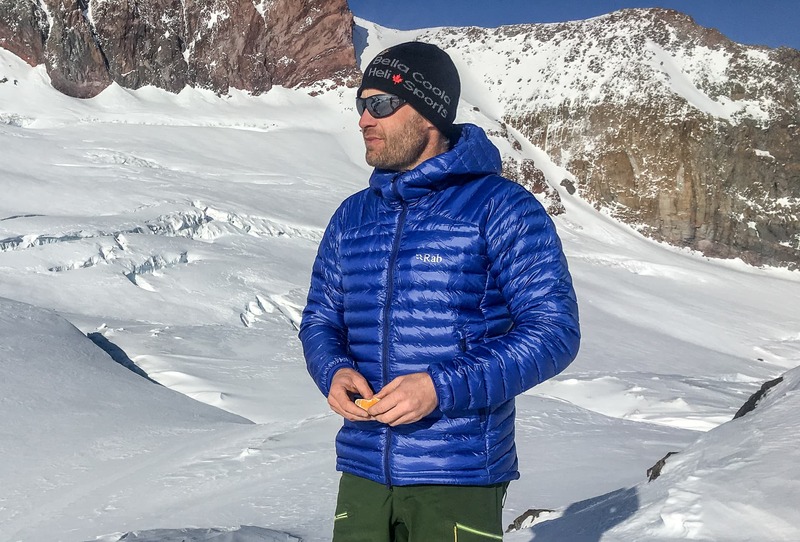 If you’re looking for some superlight half/twin ropes for getting out on the ice or into alpine then the Beal Gully Unicore should be on your radar. 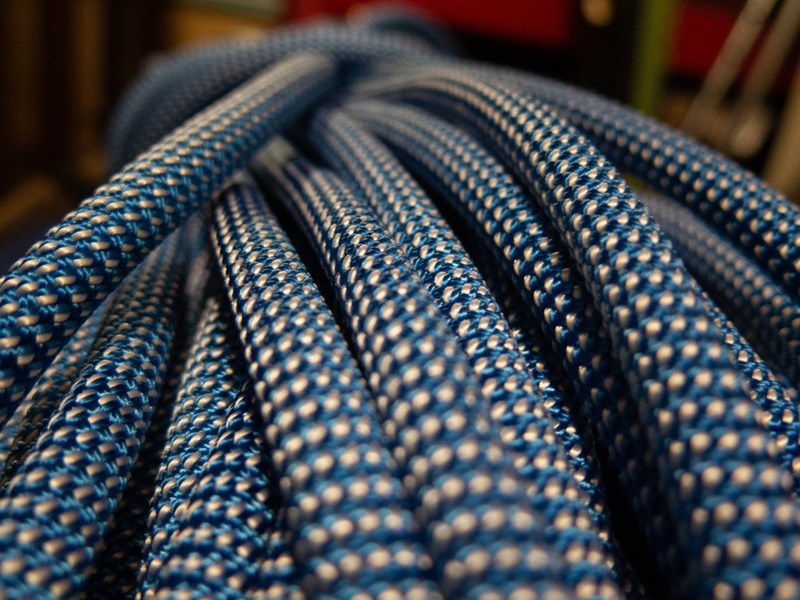 Test Ropes: 60m Beal Gully Unicore with Golden Dry treatment. So what is this UNICORE technology anyway? 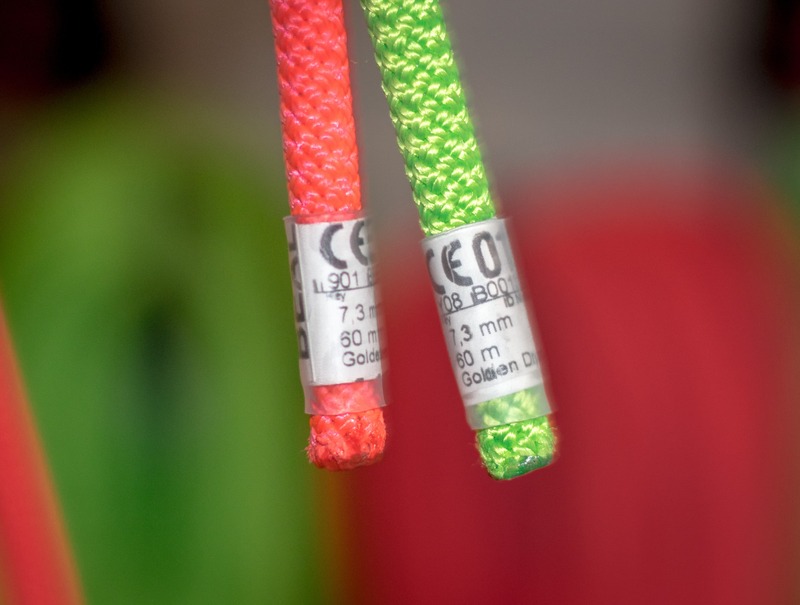 Basically it’s a type of rope construction that includes a thin membrane between the core and the sheath. This membrane bonds the sheath and the core together while still allowing for the rope to stretch under load. So what does it mean? Well basically if you damage the sheath, the rope will still function as designed instead of potentially breaking! Of course this doesn’t mean you should continue to climb on a damaged rope! To really get a feel for the difference check out this video clip: https://www.youtube.com/watch?v=CtURlhPssQI. 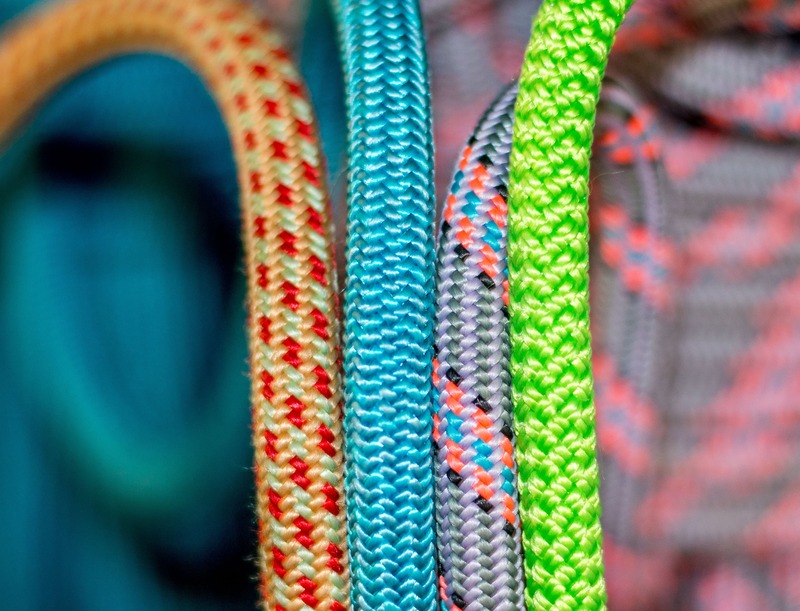 A comparison shot of various half ropes. 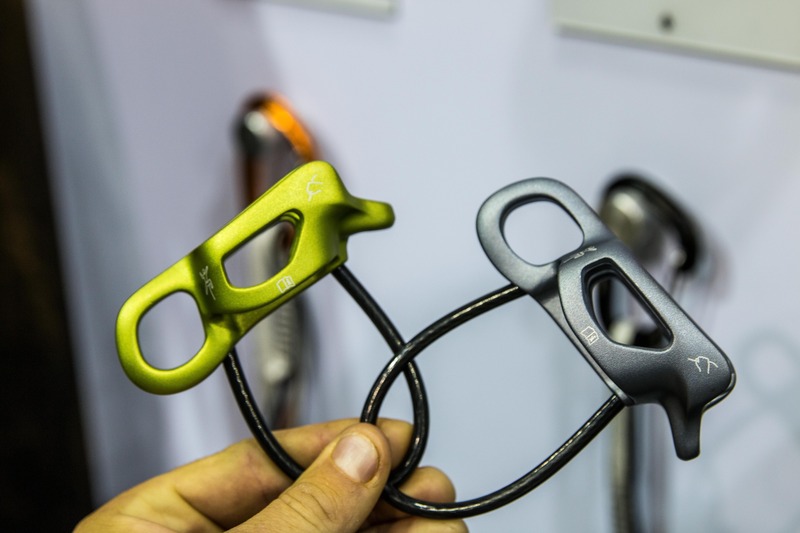 From left to right: Sterling, Petzl & Beal half ropes in the 8.1-8.4mm range and the Gully at 7.3mm. It’s interesting that the Gully has a double strand weave where the other three have a single strand weave. This is likely why the Gully is a bit stiffer. Beal managed to strike a pretty good balance between supple and stiff on the Gully ropes though they do fall slightly to the stiff end of the spectrum. This makes them less likely to tangle, a great feature when dealing with 2 ropes that are often stacked on top of one another. The downside is that they don’t coil as nicely as a softer cord. Like most ropes, the Gullys came packaged in a mountaineers coil, basically wrapped in a circle. Of course this type of coil has to be unrolled to avoid a very twisted rope. It still took a couple of pitches to get all the kinks worked out once I did they weren’t prone to twisting. Lap coiling the Gullys on a multi-pitch climb. They don’t lay-down like a more supple rope but they also don’t tend to get tangled and I really hate tangled ropes! 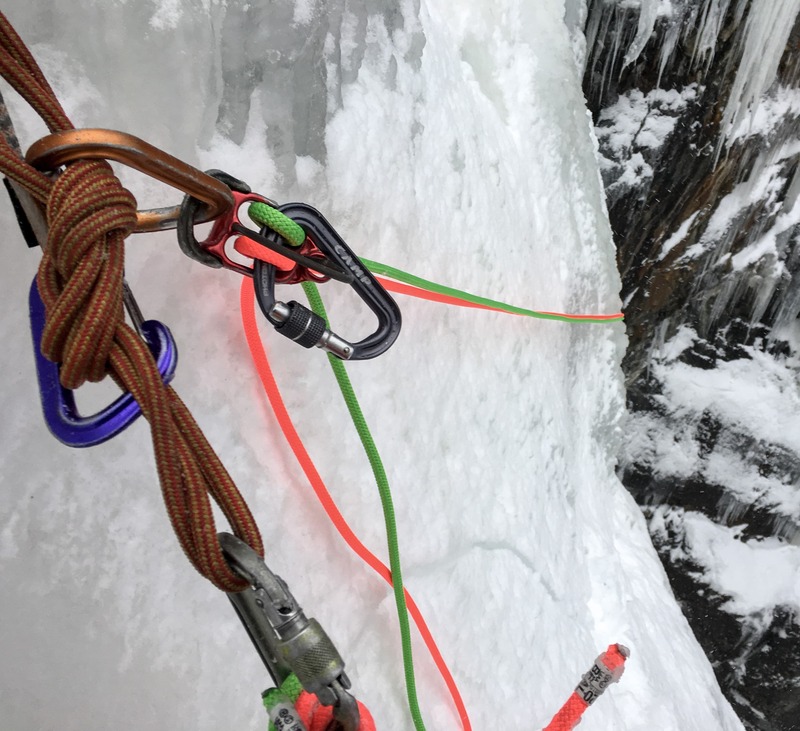 I’ve only put around 20 days of ice on the Gully ropes so far and haven’t yet tested them in the alpine. Of course the test ropes don’t show any signs of wear so far and I expect that they’ll prove to be reasonably durable for such a thin rope given the thick sheath. I plan to correct the deficit of alpine testing days with a trip to the Ruth Gorge this spring. I’ll be sure to revisit the write-up upon my return in the unlikely event that I discover any issues. 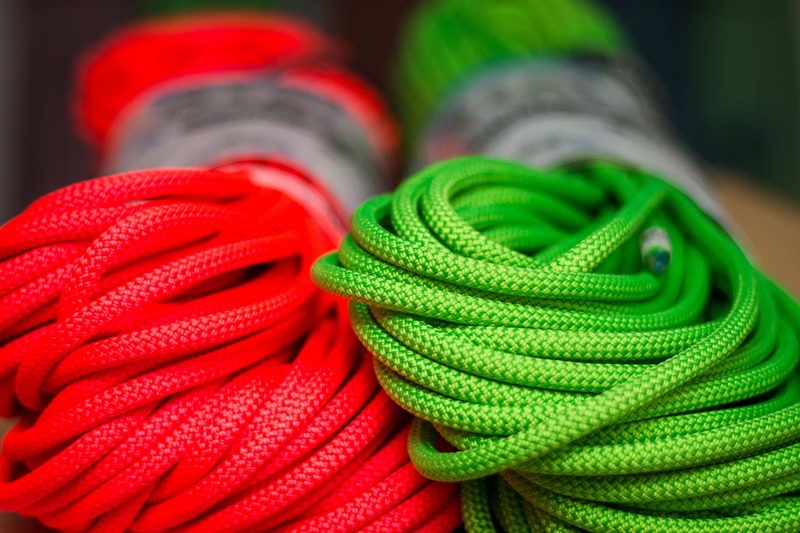 Beal Gully Ropes fresh out in the package. Unfortunately they come in a round coil that tends to result in a twisted rope for a few pitches. 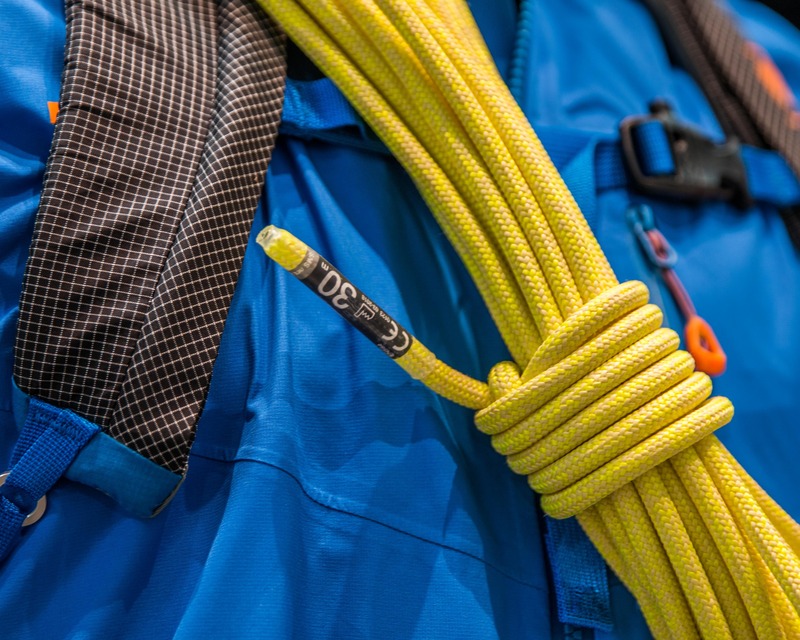 I reviewed a Beal Opera rope last year which features the same Golden Dry treatment as the Gully ropes and was impressed. 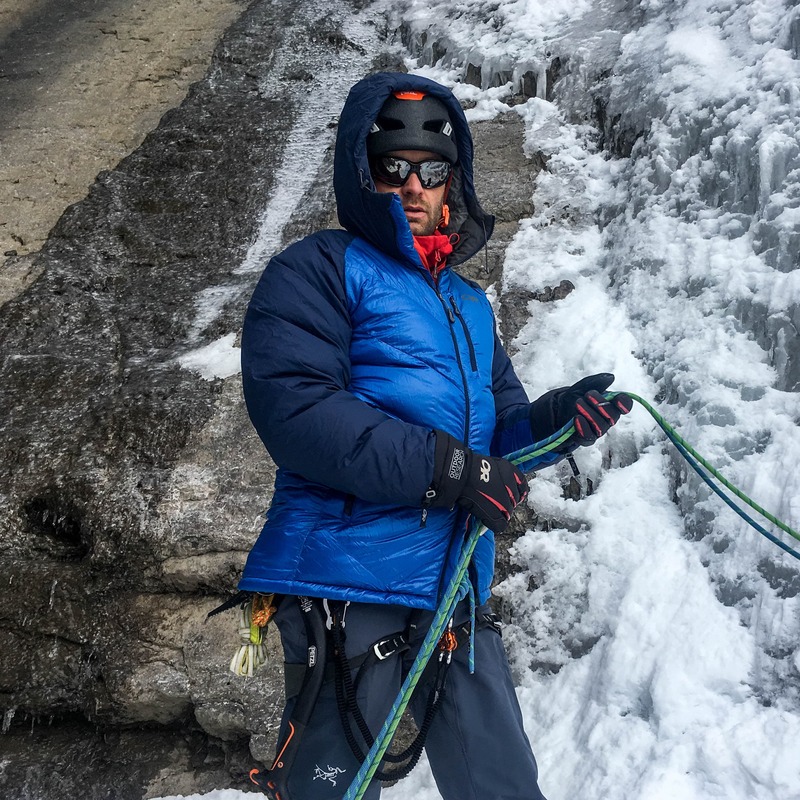 After a season of climbing on the Opera there was no noticeable difference in the feel or handling of the rope and it still didn’t matter if it sat in a puddle while I belayed, the rope stayed dry. Of course I didn’t use the rope for any rock climbing so the surface rope fibers stayed pristine which always helps. 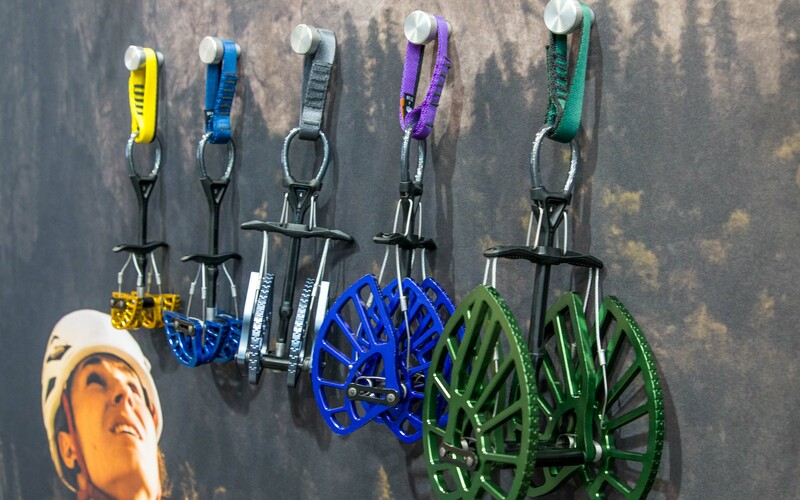 Many popular belay devices won’t work with the super thin Beal Gully Ropes. I’m using the DMM Pivot in this photo which is advertised at working with ropes as thin as 7.3mm. It worked fine though I did double up on ‘biners for the rappel. 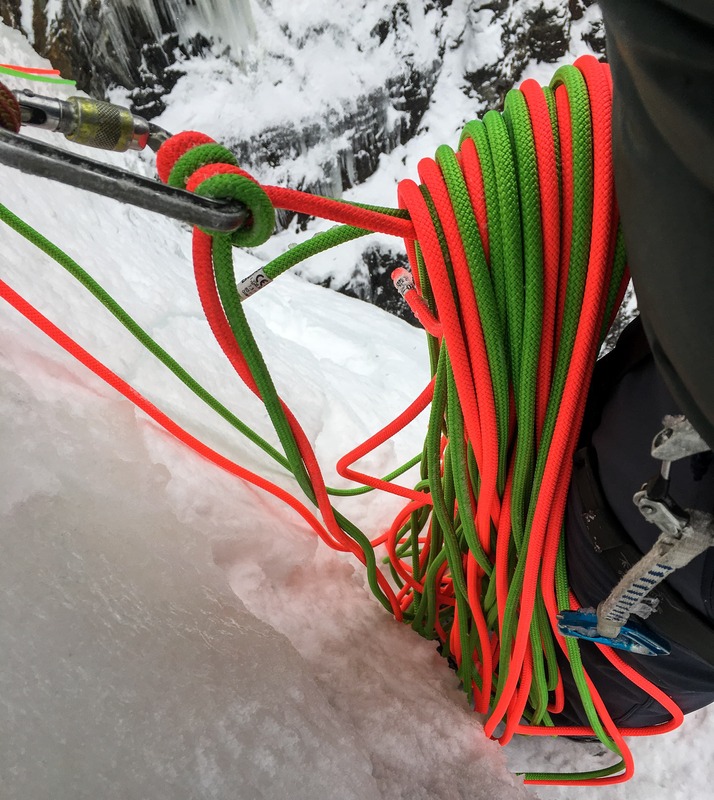 Cautionary Note: At a wafer thin 7.3mm the Gully ropes are not compatible with some popular belay devices such as the ATC-Guide. 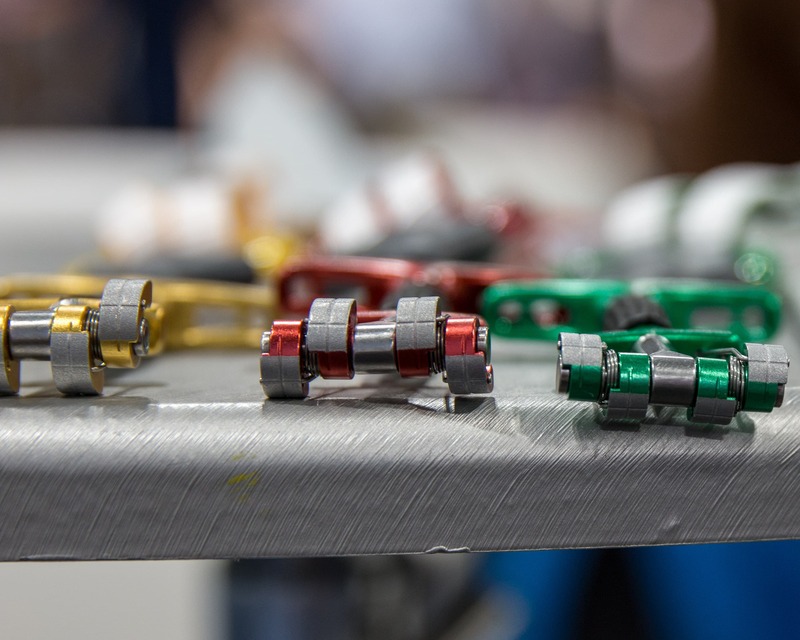 Be sure to check that your belay device is compatible and consider using 2 carabiners to increase friction when rappeling. 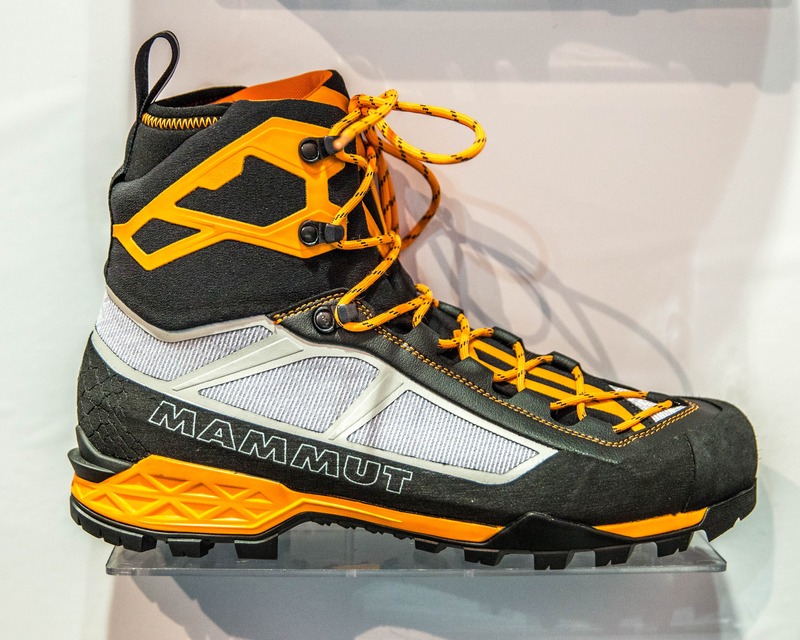 Pros: light, dry, supple and safe. Cons: Packaged in a round coil. 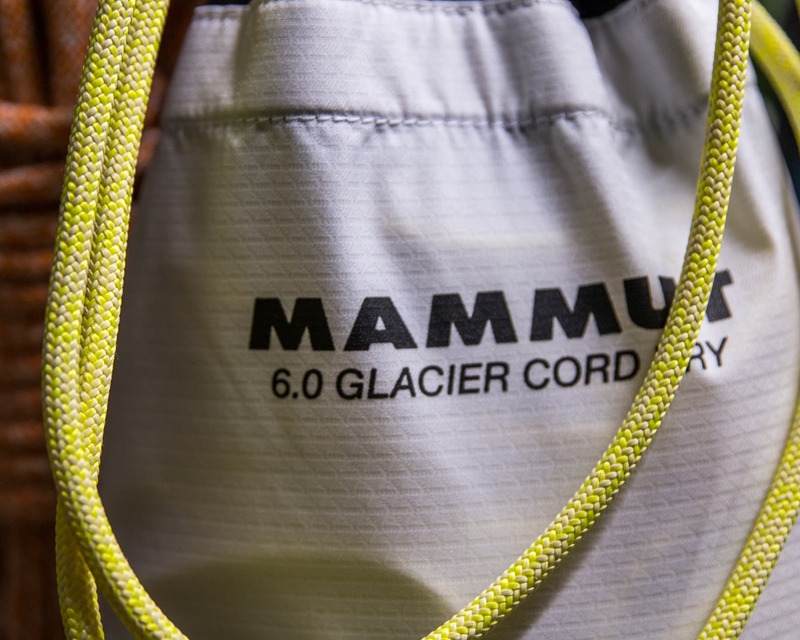 Overall: Amazingly thin and light with the added safety of the Unicore the Gully is a fantastic rope for ice and alpine climbing as well as glacier travel. I was provided a review sample from a distributer but of course this didn’t influence my review in any way.